Block paved patio and driveway installers in Ruislip, Harrow, Pinner. Thinking of getting a new driveway? 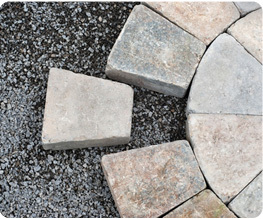 A&E Garden Construction are specialists when it comes to installing stunning driveways to suit every type of property. Our team have been in the industry for many years and pride ourselves in handling our projects from start to finish without taking in subcontractors. You can rest assured that your new driveway will be handled professionally from the initial planning stage through to completion. Our team are experts and understand that preparation is of the upmost importance when planning a new driveway. We pride ourselves in building a driveway that will last and be of use for many years to come. Our experienced team can further enhance your driveway with unique features such as decorative edges, paths, steps and lighting. If you need your garden landscaped or simply smartened up to complement your new driveway then we are at hand to help with this too. Restoration and maintenance is key to keeping your driveway looking its absolute best. Moss, algae, slime and oil can play havoc on the surface of your driveway so maintenance is important to protect your investment. Speak to a member of our team about our jetwashing service. Whatever style or size of driveway you desire, call our team on 01895 675941 to book your free home visit. Do you need a nice seating area in your garden? Here at A&E Garden Construction, we believe that a solid patio can add much needed extra living space to any home. With a unique design or shape and added features such as walling, decorative steps and lighting, your patio could be the envy of many a friend or neighbour. 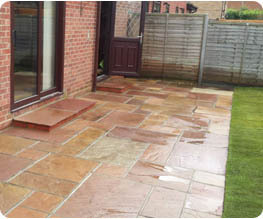 Patios can add charm, interest and value to any home and are much longer lasting and durable than wooden decking. A patio also needs minimal maintenance to keep it looking as good as new. There are many textures, styles and colours to choose from. Our friendly team can help you come up with the best solution for your property, speak to them to organise a home visit to discuss your requirements. Let’s make a patio for you that you will enjoy for years to come. 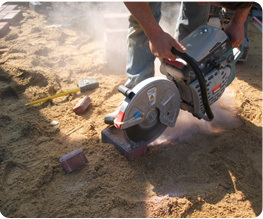 Call A&E Garden Construction today on 01895 675941.